Spitfire units, however, had a lower attrition rate and a higher victory-to-loss ratio than those flying Hurricanes because of its higher performance. 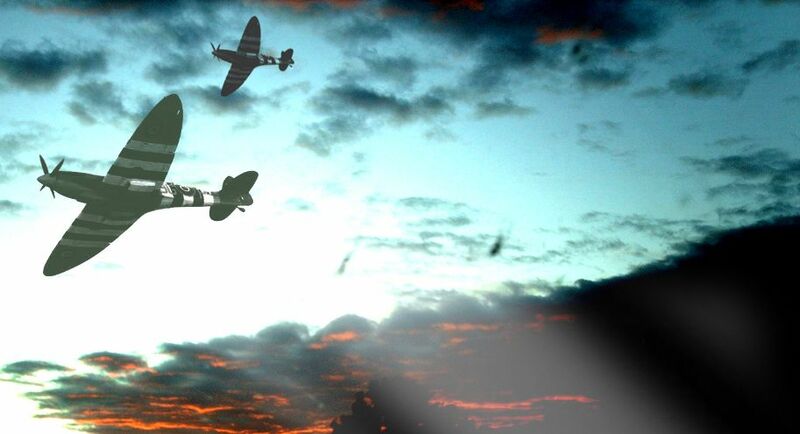 Spitfires in general were tasked with engaging Luftwaffe fighters (mainly Messerschmitt Bf 109E series aircraft which were a close match for the Spitfire) during the Battle. All production Spitfires were flight tested before delivery. During the Second World War, Jeffrey Quill was Vickers Supermarine’s chief test pilot, in charge of flight-testing all aircraft types built by Vickers Supermarine; he also oversaw a group of 10 to 12 pilots responsible for testing all developmental and production Spitfires built by the company in the Southampton area. Quill had also devised the standard testing procedures which, with variations for specific aircraft designs, operated from 1938. Alex Henshaw, chief test pilot at Castle Bromwich from 1940, was placed in charge of testing all Spitfires built at that factory, co-ordinating a team of 25 pilots; he also assessed all Spitfire developments. Between 1940 and 1946, Henshaw flew a total of 2,360 Spitfires and Seafires, more than 10% of total production.